The artificial lake of Agia located near the village Agia, 9 km west of Chania. It is a small lake of 450 acres, which communicates with the valley south of the range. This valley is considered as the most liquid of Crete. The lake receives water from underground springs and the river Xekolomeno. The lake was a marsh before Greek Electricity Company (DEI) transform artificially to produce hydroelectric power. Nowdays the plant of DEI does not work, but visitors can still see the old site. 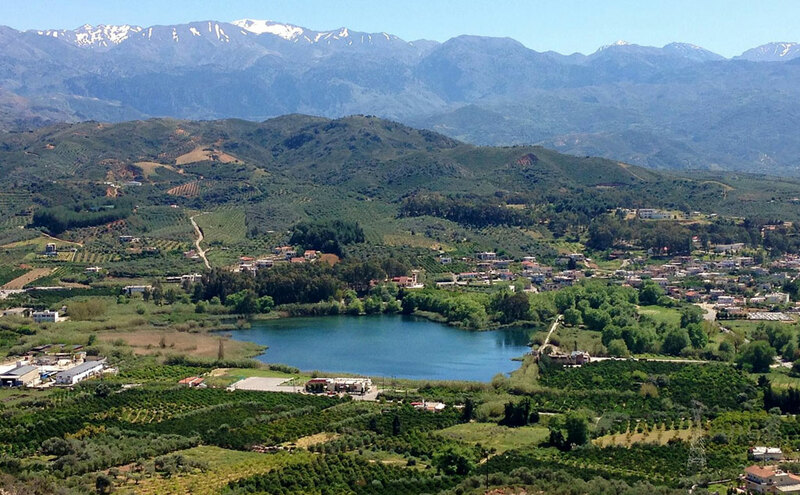 This small lake hosts perhaps the largest variety of aquatic plants in Crete, but also very important fauna species, such as rare species of ferns and frogs. Also in Lake shelter many migratory and non-birds. The ecological significance of Lake Agia reflected in the fact that the lake is protected by international treaties.